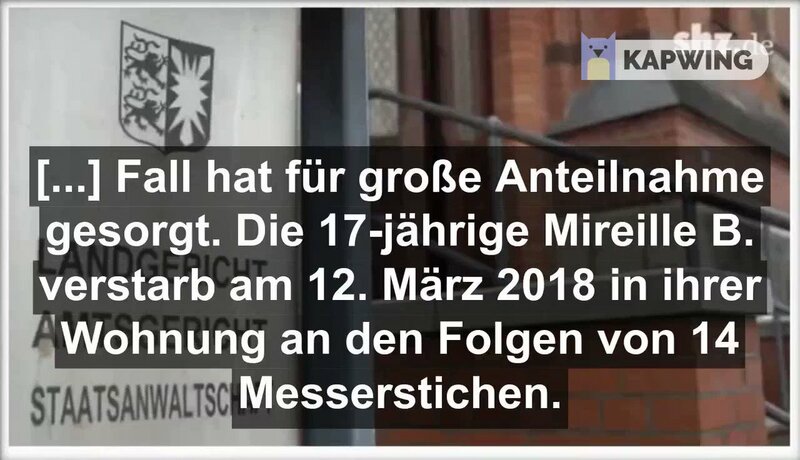 Sometimes, the #German judiciary still can hand down severe judgments against #Muslims: today(2019-02-05), the suspected #murderer of #MireilleBold was sentenced to 'lebenslänglich' by a court in #Flensburg. I created subtitles for a report about the ruling on German public #TV. "[...] Fall hat für große Anteilnahme gesorgt. Die 17-jährige Mireille B. verstarb am 12. März 2018 in ihrer Wohnung an den Folgen von 14 Messerstichen.